Signage 200m before the cabin on the highway. 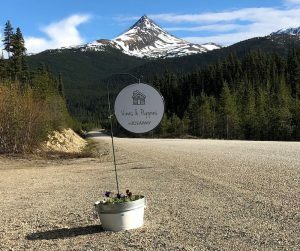 We are located at km 594 on the Stewart Cassiar Hwy 37. There are green mile markers every 5kms. 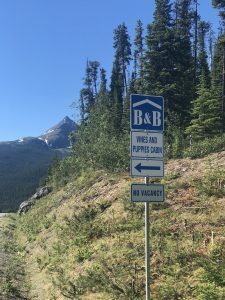 You will find us 110kms north of Dease Lake on the right hand side or 8kms south of Jade City on the left. There is signage at the bottom of the driveway.